Many people wish to practice soothsaying but they often struggle selecting a method of divination. There are so many types to choose from and they are all so interesting! There is no one type of divination which is right for you, there are probably several! Don’t worry about selecting the wrong method of divination. The worst that can happen is that you will get possessed by demons (joking, HA!) But seriously if you commit to the wrong type of fortune-telling, then do not fear, there are plenty more methods of divination to choose from. The key to choosing the right type of divination, is to try as many as you can. In my 27 years being on earth, I have probably dabbled in about 30 divination methods but would call myself an active participator in only about 6 (Apantomancy, Tarot, Lenormand, Crystal Ball Reading, Dream Interpretation and Oracle Cards). 1. Can it Provide for me what I am Trying to Accomplish? The first thing you must consider when choosing a method of divination, is whether or not it can provide for you what you are trying to accomplish. For example, are you wishing to predict the future? Do you want to give out holistic advice? Do you want to read on specific questions? Or general life areas? Usually, most would be diviners wish to learn how to predict the future. A divination method such as Lenormand is perfect for this because a Grand Tableau Spread will allow you to look into 36 life areas at once. Lenormand is ideal for making detailed, accurate predictions for both specific and general readings. By contrast, a divination method such as Oracle Cards are designed specifically for advisory types of readings. Oracle cards will give you advice on which course of action to take, but will not necessarily tell you where those steps will lead. 2. How Long Does it Take to Perform? There are some methods of divination which can be performed in record time, such as Dowsing or Poe divination. Quick types of divination answer a straight yes or no, so if this is all you require then they are ideal. However, there are other methods of fortune-telling which can take a very long time. There are other types of divination - such as Apantomancy or Brontomancy - which can take an undisclosed amount of time because you’re waiting for God, the spirits and the universe to send you signs. How much patience you have should be a factor in selecting the right method of divination for you. 3. Is the History a Pro or Con? Throughout history, there have been hundreds and, probably, thousands of ways to divine. Most types of divination (such as Belomancy) were once super popular but have now fallen out of fashion. In modern times, these methods of divination are not widely practiced, the information on them is slim and they lack supportive communities where you can get tips and advice. Another possibility, is that you do not like forms of divination which do not have a rich history. Some divination tools, such as Ouija Boards and Dobutsu Uranai, are relatively recent inventions and this may be a turn off to you if you like your divination methods to have a more colourful past. Therefore, when choosing a more ancient type of divination you must ask if there are still enough information on them for you to learn. When selecting a more modern method of reading, you need to consider if the lack of history bothers you or affects your faith in the system, which brings me to my next point. 4. Is it in Line with my Beliefs? When you're a beginners choosing a form of divination, you have to ask yourself if you believe in that method of fortune-telling. Is it in line with your spiritual beliefs? This is an important consideration. Part of discovering which method of divination is calling you, is deciding whether or not you actually believe it is possible to divine the future or solutions to problems in the manner which the tool provides. Some people do not like methods of divination which have no room for error. Therefore, a strictly yes or no form of fortune-telling (such as Poe) is not going to be right for you. I am personally in this camp, and if you are too you are better finding a divination tool which can provide some wiggle room, such as Tarot. Another thing which may be important to you is the system’s history (as discussed above). If having a colourful past is of significance to you, you have to believe in the back story of the divination tool. For example, many people question the authenticity of Ogham as an ancient form of prediction. Do you feel like a complete sucker when telling a method’s back story? Does it make you feel weird? These are important considerations as they may impact your level of belief in the system and ability to perform readings. Finally, there may be some moral considerations you have around a type of divination. Because they do not believe in using animal products many vegan diviners stay clear of bone reading and instead opt for something like charm casting. Although there are plenty of companies which source bones humanely, you might feel weird about using bones in your practice, so stay clear of this type of work. The right divination for you is going to be based on your personal preferences. 5. Does it have to be Pretty? It is no coincidence that some of the most popular methods of divination - such as Tarot or Runes - employ the use of pretty divination tools. Although I am not encouraging shallow behaviour by recommending that you go for a form of fortune-telling based entirely on looks, there is something special about having attractive divination tools. It is fun and exciting when those Tarot cards you have been eyeing up for months appear in your letter box. Looking good can add to a divination methods appeal. However, there are types of divination which do not require beautiful tools (such as Cledonism) but which get the job done. Therefore, having a shinny crystal ball or gold edged Tarot cards may not be a major priority to you, but if it is be honest with yourself before you commit to learning a system. 6. How Much Money can I Spare? You honestly do not need fancy reading cloths, herbs or any other non-essential. Practicing divination does not have to cost you a fortune. That being said, there are types some fortune-telling tools and systems which can become rather expensive. Quartz crystal balls cost hundreds of dollars. If you want to practice Ifa, an initiation into an ATR can cost thousands. If you’re low on cash, then there are some methods of divination which will be out of your budget. 7. How Much Time do I want to Devote? There are some types of divination which can be mastered very quickly. For example, I learned how to read Lenormand in only 2 days. And I don’t just mean I learned a few keywords, I was proficient enough to be performing readings for seekers I had never read before only 48 hours after learning what Lenormand was. By contrast, there are other divination systems - such as Astrology - which I have been dipping in and out of for over 13 years. I feel like there are so many components to Astrology it is not the type of thing which you just pick up on a weekend. As a general rule, the more aspects to a method of divination the longer it is going to take you to learn. I have also found that more popular types of fortune-telling seem to take a very long time to get your head around because there is always something new to learn due to so many educators getting their bit in over the years and constantly evolving the system. If you feel you do not have the time to learn every single interpretation of a system (or you’re impatient like me) then an info-heavy method may not be right for you. Some methods of divination can be mastered quicker if you personalise them. For example, if you develop your own way of interpreting symbols you can apply this to crystal ball reading, bone throwing, dream interpretation, oracle cards etc. 8. Is it Highly Requested? Do I Care? A little tip here for professional readers, there are some methods of divination which are more popular than others so can work in your favour. If you learn something like Dream Interpretation and you can get to the top of Google for the search term ‘Dream Interpretation London’ you’ll be laughing. It is worth your time learning systems which are highly requested. However, sometimes it is good to go against the grain. At one point, I was probably the only Lenormand reader within a 3 hour drive. Almost overnight Lenormand became super popular and the method blew up. Suddenly, I was receiving request for Lenormand readings left, right and centre. Sometimes it pays to be different. While I am not saying that you should learn a form of divination just so that you can make money, learning will be an investment for a professional reader. Therefore, obviously this is something you should consider if you know that one day you will be incorporating it into your reading practice. 9. Is there Information Available in English? Or any other language you wish to learn in? For me, learning how to read Etteilla was extremely difficult because I had to sit online with Google translate and a French dictionary because there was no information on Etteilla available anywhere, not online or in print. It took months just to get the information in English and while I am grateful, it was a lot of hard work and effort initially. While it is rewarding when you truly work for knowledge, if you’re a newbie I do not recommend you go down the road of translating books and articles to learn a method of fortune-telling. Master something in a language you are familiar with first, then you can move into more ambitious territory at a later date. 10. How Much Research is Needed? Sometimes, there will be information available in your first language but it is few and far between. You might have to buy lots of new books, join communities or piece together nuggets of information from around the internet. Although there is more information available on Lenormand than there was when I started, sometimes that information is a bit hit or miss. It is hard knowing if you’re being told the right things. That is why I periodically run Lenormand courses on Divination and Fortune Telling, so that my readers know they can get quality Lenormand information without having to play guessing games online. When selecting a divination method, you have to take into account the level and quality of information which is already avalible otherwise you could be in for a lot of hard work and hustle before you have even begun. 11. Is there a Community? For some people, the community aspect is very important. Communities can help you to grow and develop as a reader. Facebook groups and forums dedicated to your chosen method of divination can be a place where you go for support and advice from other readers. Being part of a community allows you to connect with people who have similar goals and interests. 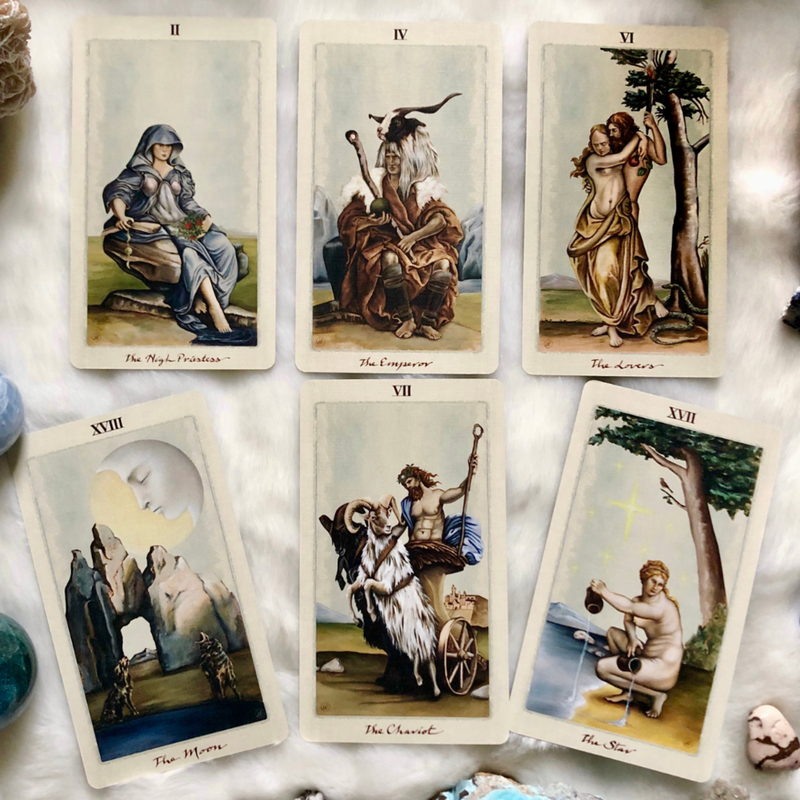 Divination and Fortune-Telling has a Facebook page where diviners can learn and are asked to give their opinions on symbols, card spreads and more. However, finding a community might not be a priority for you for several reasons. You may not feel as though you need other people in order to learn a method of divination; you are self-taught and proud. Alternatively, you might be the type of person who doesn’t want to socialise with others and doing so makes you feel awkward, which brings me to my next point..
12. Do I have to Touch People? Some forms of divination (such as lenormand, Tarot and astrology) have thriving spiritual communities. Other types of fortune-telling hasn't seen much interest so no groups exist online or elsewhere. Is it right for you if it doesn’t have a community? There are some types of fortune-telling (Phrenology, Palmistry etc) which require you to get up close and personal with your seekers. If you’re the type of person who does not like to be touched (or doesn’t like to touch others) then you must take this into account when choosing the right method of divination for you. You may also wish to one day practice a method of divination professionally and consider doing email or distant email readings. Wanting to one day read online? Or do you already read online and cannot always touch your clients? If you’re reading in a business capacity you have to consider the pros and cons for each type of fortune-telling. How much skin to skin contact you need with your seekers should come into the equation. 13. Is it Religious in Nature? There are some methods of divination which are religious in nature, such as Ifa divination. These types of divining are not something you can just pick up a book and learn; they are passed down by other initiates of the spiritual traditions they are a part of. There are also some fortune-telling methods which are popular in temples, especially in China, Taiwan, Malaysia and Japan. These types of divination, such as O-Mikuji and Kau Cim can, hypothetically, be practiced outside but their religious and ceremonial significance is what makes them special. Just because a form of reading can be done outside of a religious context, doesn’t mean they should. Not all types of divination is practical. It is not easy to sacrifice a goat to the Gods and interpret the shape of its liver (Haruspicy). Obviously, these things must be considered when you are choosing the right type of divination for you. You might also live in a part of the world which makes a particular method of reading difficult. For example, if you live somewhere far away from nature Apantomancy could get a bit boring. Or, maybe the country you reside in has consistent weather, year in year out so something like Aeromancy would be out of the question. These are things you must look at honestly in your quest for the perfect method of divination. 15. Does it Match my Skillset? If you’re new to prognostication, you might not yet know what your skills are. However, you can usually get a general idea just by doing some light research into the divination method. While every type of divination requires some level intuition, there are some which also require a lot of study. Memorisation may not be your thing. By contrast, you might love the intellectual approach and if this sounds like you, a divination method with a lot of information (like Astrology or Tarot) would be ideal. With some types of divination, you must have strong intuition and be able to read between the lines. Something like Lenormand or Dream Interpretation can be symbolic or literal and you must be able to separate the thoughts in your head from your intuitive voice. With some types of reading you may or may not work with spirits, so whether you can or cannot may not matter to you. However, there are other types of divination which work exclusively with spirits (Necromancy). Is mediumship your thing? Do you have the skills needed to talk to spirits? Are you willing to learn? These are things to consider when deciding if you want to take up a method or not. *Bonus Tip* Does it Feel Right for me? You will know if a divination method is right for you based on how drawn you are to the method. You will notice that, throughout your life, you may have had an underlying interest or fascination with the system. Once you begin practicing a form of divination - if it is right for you - you’ll take to it like a duck in water. At times, learning will feel effortless and you will not feel intuitively blocked when you try to perform or progress with that divination method. That is not to say that it will always be easy or that there won’t be one or two things you get stuck on, but the difference is that you will rise to any challenges you face because overcoming them will be enjoyable. Art Illustration: Which method of divination is right for you? If you have discovered fortune telling through witchcraft and spirituality, you may not find it easy to choose a tool. There are so many for the beginners to select such as bone, pendulum, cards, tea leafs, runes, cartomancy, hand and geomancy. This article will help you decide!